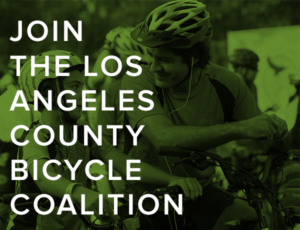 Just one more week to help someone you know win a new bicycle. 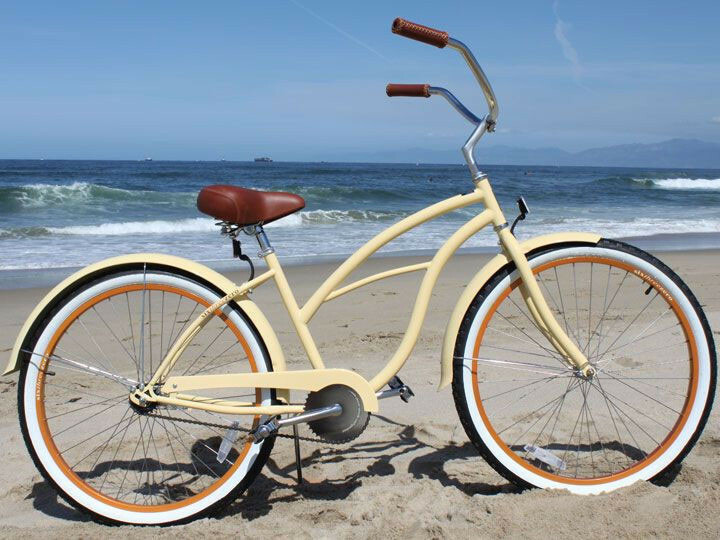 Read more about our first-ever bike giveaway and suggest who deserves to win a free bike from Beachbikes.net. Even if that person is you. Fairfax Ave could soon have a continuous bike lane from Hollywood Blvd to Melrose Ave. 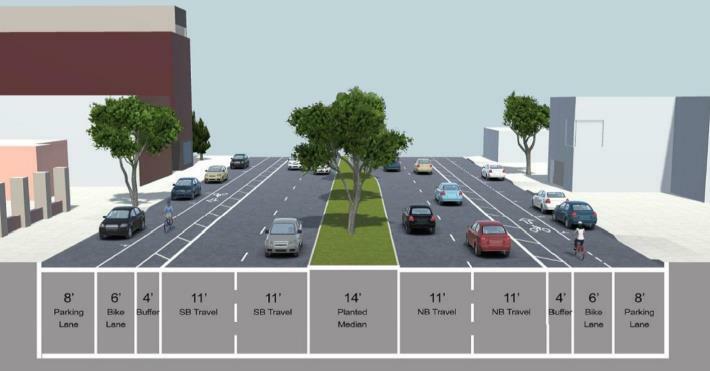 The lanes would connect with existing bike lanes on Fairfax north of Fountain, as well as planned lanes between Willoughby and Melrose in the City of LA. 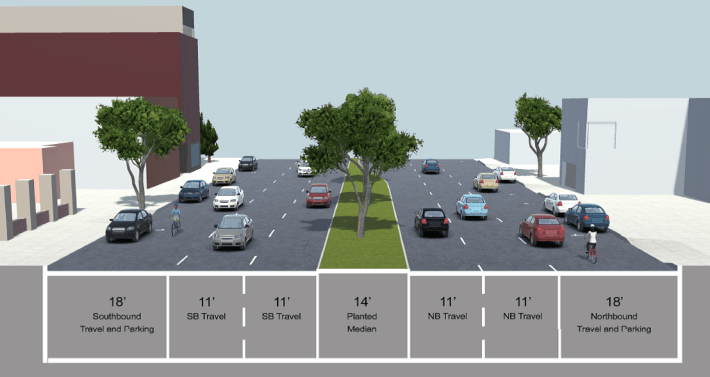 The WeHo website suggests they might even extend below Melrose; however, that would likely require removing parking from the narrow, small business-lined street. Which isn’t likely to happen given the city’s risk-averse culture. Still, it’s nice to see a little coordination between the two cities to provide a badly needed north-south route for bike riders in that part of town. 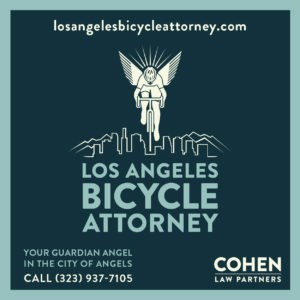 Thanks to the West Hollywood Bicycle Coalition for the link. The amazing Katie Compton wins her 12th national cyclocross championship; Jeremy Powers only has nine more to go after winning his third straight men’s title. Cyclocross Magazine offers full coverage. Santa Monica will create a new coastal zoning plan, taking into account the new bikeshare program, as well as future sea level rises due to global warming. The Daily News looks at Winnetka’s five-year old Girlz Gone Riding mountain bike club, which has grown to include chapters in San Diego and the Inland Empire. Note to Daily News: 1,000 Facebook members sounds impressive, but chances are, they’re no more real than Facebook friends. An Oxnard cyclist was critically injured in a broadside collision Sunday afternoon. A musician’s cross-country bike trip from West Virginia to Santa Paula inspires a web series and a new album. Palo Alto’s My City Bikes is trying to encourage people to save money and stay fit by riding bikes. NPR looks at Kurt Searvogel, the new holder of the year record. A bike-riding TV news producer says older riders need to encourage the next generation of bicyclists. 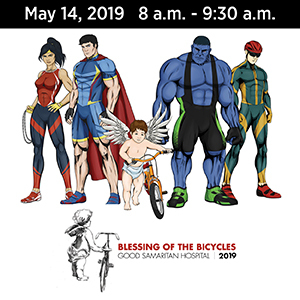 The Austin TX Ghisallo Cycling Initiative, named after the patron saint of cyclists, teaches older adults to ride three-wheel bikes to provide them with better health and greater mobility. A Mississippi physician bikes the route of the Underground Railroad north to Canada. Orlando FL gets its first sharrows. Which work a lot better for wayfinding than they do for improving safety or encouraging drivers to share the lane. In a shameful assault, a Canadian man rode his bike past a group of Syrian refugees attending a Vancouver welcome event, and pepper sprayed at least 30 men, women and children. If you build it, they don’t always come. A bikeshare program operated by a British rail system has averaged only one rental per station every six days. Remarkably, all five candidates for London mayor have endorsed banning cars from one of the city’s busiest, and most polluted, streets, as well as implementing an Idaho stop law. Maybe we could get the losers to run for office here. A road raging Brit bike rider is confined to a curfew for attacking a driver who allegedly passed too close. Seriously, keep your anger and your fists to yourself, no matter how much you think the other party might deserve it. 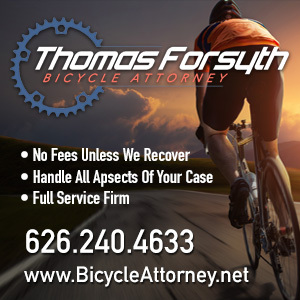 On the other hand, if a bike rider is smashing in your window and threatening to kill you, you may not have given “ample room” after all. Now that’s a good dog. A British police dog sniffs out a stolen mountain bike worth over $4,300. This could be the last year for the Tour of Oman. Officials of the United Arab Emirates get on their bikes to encourage their citizens to bike to work this Tuesday, though some of those citizens say the streets of Abu Dhabi are too dangerous to ride. Adventure Journal relates the story of Polish cyclist Kazimierz Nowak, who twice rode the full length of Africa in the 1930s as the world was building up to global war. A Kiwi expat competes in 14 mile time trial on Friday and goes a 46 mile bike ride on Saturday, then gets married that night. The death of a young bike-riding mother leads to a campaign for more and safer bike lanes in the Philippines. A Singapore cyclist offers a whopping $10 to forget the whole thing after crashing into a three-year old and knocking out his tooth. A bike for people who aren’t ready to give up the car. The world needs more bike riding kung fu Buddhist nuns. And go ahead and fire it up; a new study shows weed won’t affect your ability to ride a bike. Though you may want to pack more munchies for the ride. The victim of Thursday’s dooring in the hospital; she is not being identified at this time since I have not been in direct contact with her family. A woman was seriously injured in a hit-and-run dooring while riding on the western edge of the West Adams district. According to reports, the collision occurred near the intersection of La Cienega Blvd and Fairfax Ave, between West Jefferson and Washington Blvds around 10 pm Thursday night. The driver stayed long enough to pull the victim out of the street, but took off after nearby valets called 911. Her husband arrived on the scene while the suspects were still there, but they lied to him by saying the driver had already left the scene. He identifies the car only as a blue sedan with a license plate starting with H20. I’m not sure if the police have been contacted yet. So if you may have seen the incident or have any information, email me at the address on the About page, and I’ll forward it to the appropriate people. Dooring is always the fault of the driver or passenger; CVC 22517 requires anyone opening a door into traffic to wait until it’s safe to do so and can be done without interfering with traffic. Let’s spread the news and see if we can catch these guys. Update: I’m told the victim suffered a partially collapsed lung, broken clavicle and required multiple staples for a head wound; she was in surgery as this is being written. 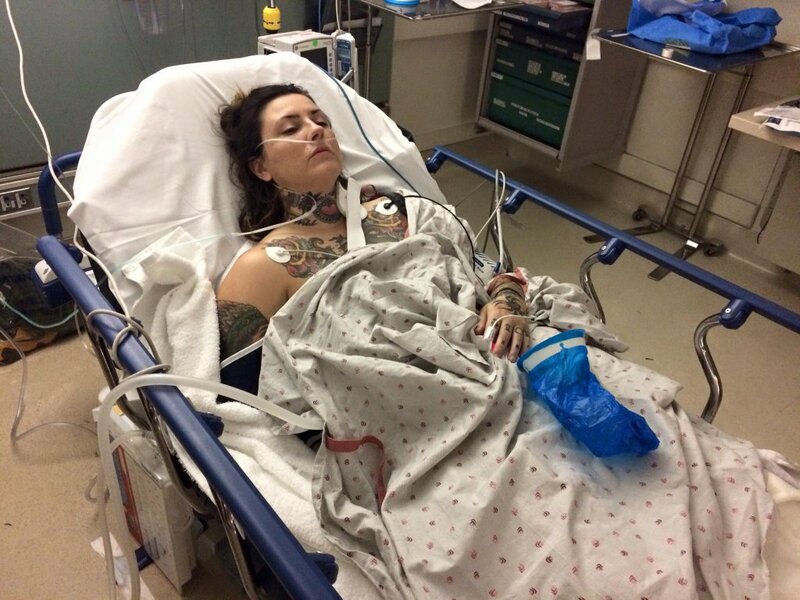 A gofundme account established to help defray medical expenses has raised $6,000 of a requested $10,000 in just three hours; she’ll need a lot more than that to pay for hospitalization and surgery. Thanks to Kyle Murray for providing information in this case.